September 29th: While I was living in Verona I was always on the lookout for bikes that were interesting. 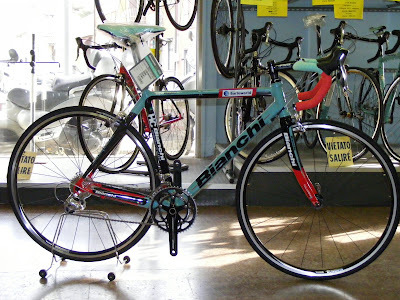 The "one that got away" was a 1951 Tour de France Bianchi. No matter how much I tried or what I tried the owner would not sell it. Sigh. One day I stopped into a shop near Lake Garda and asked if they had anything interesting "in the back". The shop owner rolled out one beat up and uninteresting bicycle after another in response to my "No"s. After half an hour he finally rolled out a MALAGNINI. At the time that was a brand I had never heard of. It was, to me, your classic Italian steel bike with some nice touches: SLX Columbus tube set, engraved chromed lugs and fork, a collar-less seat lug, a machined DuraAce seatpost that functions similar to a quill stem, a nicely designed chain catcher, interesting paint., leather wrapped handlebars and a Regal saddle. The bike is equipped with 8 speed DuraAce, ceramic Mavic rims and is in new condition. I took it out for a test ride and was very impressed how the bike handled and how smooth it was. Back at the shop the owner and I agreed on a (ridiculous) price. Today, I finally got around to unpacking it from the move and took it for a spin. This is one of the bikes that is a joy to ride, great for long, long rides. You just want to keep on riding which was the case today. I wonder if it's the only one in the USA? 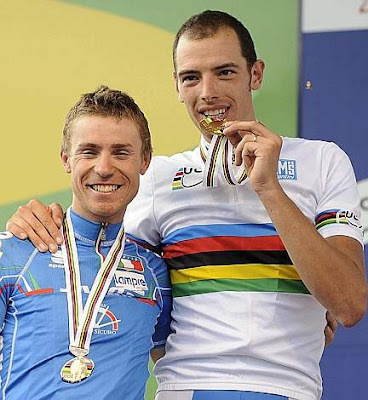 Alessandro Ballan, from the Veneto region of Italy, won the World Championship road race today in Varese, Italy, in the 260.25km race. Verona Province's Damiano Cunego won the chasing group's sprint for 2nd place. My friend Elisa, co-owner with her husband of Bianchi dealer VR MOTO in Verona, sent some photos the other day. 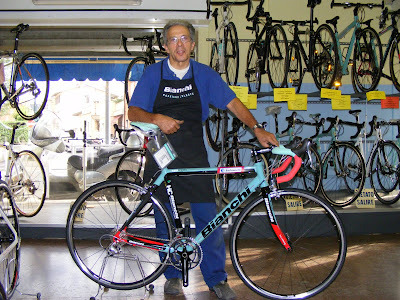 Featured was chief mechanic Gianfranco, the Limited Editon TEAM BARLOWORLD Bianchi, and a customer's Bianchi 907 Caurus complete and original down to the water bottle from about 1990. 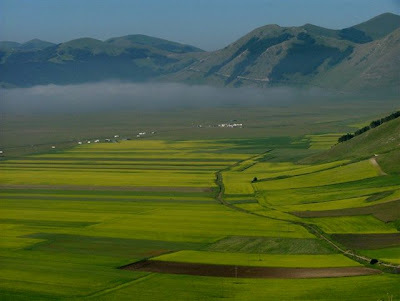 Th Marche region is one of the 20 regions of Italy. It is located in the central area of the country, bordering Emilia-Romagna and the republic of San Marino to the north, Tuscany to the north-west, Umbria to the west, Abruzzo and Lazio to the south and the Adriatic Sea to the east. 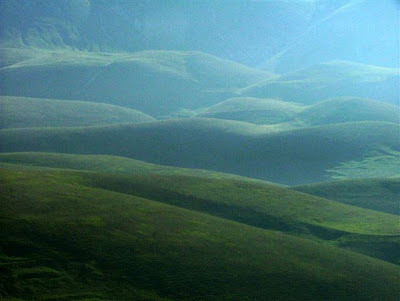 Except for river valleys and the often very narrow coastal strip, the land is hilly. My friend, Ernesto, took these photos riding near Castellucio. 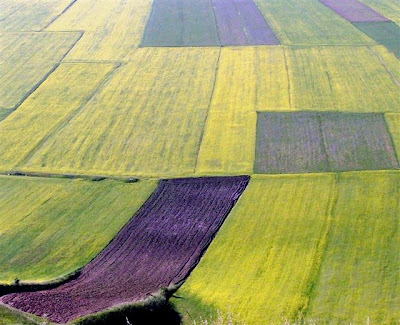 Less known than Tuscany and Umbria, Marche is a beautiful region to visit or cycle in. I last rode there in 2002 and thoroughly enjoyed it. September 18th: I persuaded my friend Calvin to come along on a drive to Breinigsville, PA to see Tom Kellogg of Spectrum Cycles (http://spectrum-cycles.com/) about painting my Jamie Swan frame. Tom Kellogg, Spectrum founder and president, began building frames under the Spectrum name in 1982. 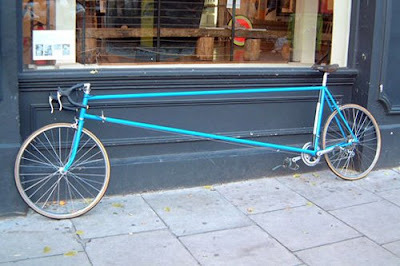 In 1985 Tom employed Master framebuilder and long-time friend Jeff Duser. Today the Spectrum facilities are housed in a 175-year-old stone barn located in the heart of the Lehigh Valley. Tom and Jeff continue to dedicate themselves to the design and construction of the finest custom steel and titanium frames and bicycles available. In addition, they offer painting, restoration, repair, and other custom services. 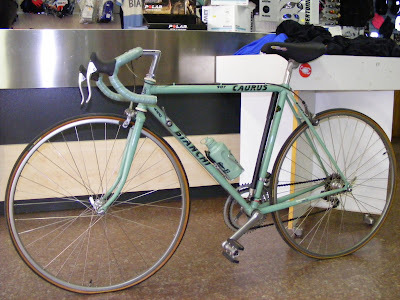 We spent 2 hours discussing paint choices, framebuilding, and the Mario Confente MASI restoration that was being picked up by the owner who purchased it in 1975 for $550.00. We left the Jamie Swan behind. The typical wait time is 6 months (!) but Tom said it might be ready in 4 months. Photos: driveway to the barn, the 175 year old barn where Tom works, Tom Kellogg, "Ken" who was picking up his Confente built Masi (which has a twin plate fork). Opinions are like bellybuttons, everyone has one. 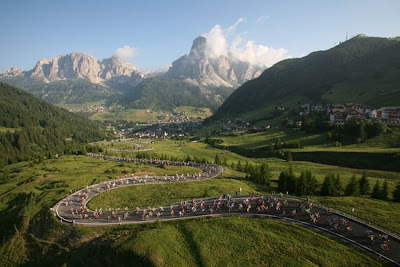 Regarding which is the best granfondo my opinion is the "Maratona dles Dolomites". The registration period for the 2009 edition opens next month. You have to plan way in advance to enter this event (or get in through one of the authorized tour organizers such as Granfondo Cycling Tours, http://www.granfondoracingtours.com/). Race date will be Sunday, July 5, 2009. Registration will be open from October 16th to November 6th, 2008. At this point you have entered the lottery. Drawings will take place in the second half of November. See http://www.maratona.it/ for all details. Monday, September 15th: Sunday was a fairly spirited club ride so I thought about taking some time off the bike today. By afternoon the weather was just too gorgeous...cool with interesting clouds passing through. 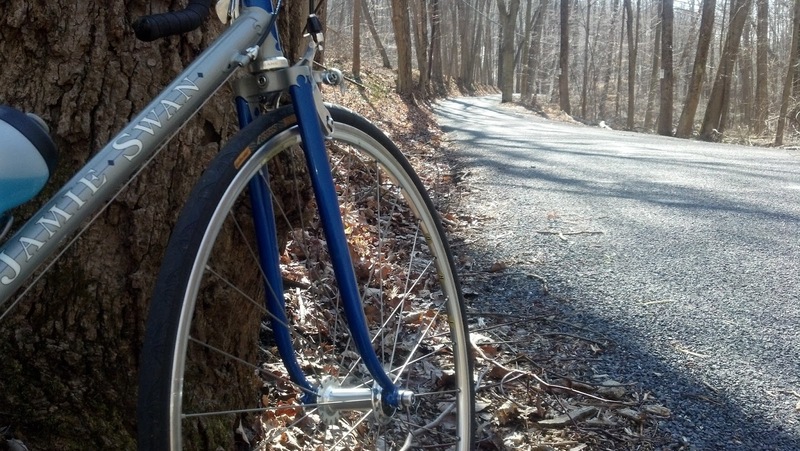 I decided to do any easy ride and learn something about the huge stone pillars in Changewater along the Musconetcong River. The Musconetcong River is approximately 44 mi (71 km) long and flows through the rural mountainous countryside of northwestern New Jersey. I learned that the stone pillars, which are now covered with vegetation, supported a train trestle over the river named the "Changewater Trestle" which was completed in 1862 and remained in use until 1960. It served the Warren Railroad, which connected the Central Railroad of New Jersey and the Delaware, Lackawanna & Western (DL&W) Railroad. I photographed three of the pillars. 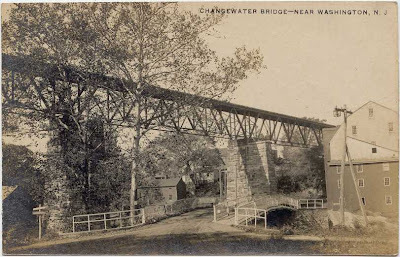 Photos: historical markers in Changewater; an old postcard showing the trestle bridge; photos of 3 different pillars, the first showing the bridge location same as the postcard; Musconetcong River; and abandoned farmhouse; cloudy skies over cornfield. 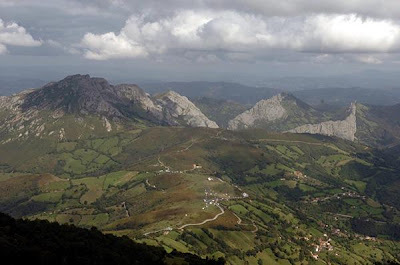 A climb I'd like to do in my lifetime is the Alto de la Angliru in Spain. Eventhough I've climbed Mont Ventoux, Alpe d'Huez, Galibier, and Izoard I think the Angliru would be my undoing. The Alto de la Angliru was the finish of Saturday's stage in the Vuelta. The Angliru, with pitches of up to 23.5%, will present a formidable obstacle for the riders in Saturday's epic stage 13 of the Vuelta a España, and it will require some unusual measures on their behalf if they hope to ascend to the finish without walking. Several riders have admitted that they will use fairly extreme gearing to conquer the shocking grades. Tea saucer-sized inner chainrings in the front, just 34 teeth around, with pie-plate sized rear cogs with 28 or 29 teeth seem to be the popular gears. It is an unusual choice for professionals, who prefer a 39 or 42 as their smallest chain ring, and rarely exceed 23 teeth in the rear cog. David Moncoutié (Cofidis), Ezequiel Mosquera (Xacobeo Galicia) and Igor Antón (Euskaltel-Euskadi) all said they would be riding the tiny gears. There was one rider who chose differently: Alejandro Valverde (Caisse d'Epargne), who lost the overall battle in the rain yesterday. He will put on a 36x29, trying to outfox his under-geared rivals. Saturday will show who has made the better choice. More on that brutal climb to Alto de la Angliru, stage 8, Vuelta e Espana, by Martin Hardie, cyclingnews.com correspondent. "Alpine stages are a race within themselves. You only have to watch such stages of the Tour de France, Alpe D'Huez, Galibier, Tourmalet to get the feeling. Nothing seems to stir the imagination like the combat between cyclists ascending a giant climb. Even on the flat television screen the climbs are daunting. The real thing so much more. Stage 8 of the Vuelta promised to expand the concept. It promised to be one of the epic stages. Even before a crank was turned in anger, the Alto de el Angliru, in Spain's northern Asturias region, was to a cycling legend. In February, seven months before the race, eventual stage winner Jose Maria Jimenez described the classic climbs of the cycling world as "child's play in comparison". Of el Angliru Fernando Escartin said "if you stay sitting down, your front wheel goes up in the air. If you stand up, the back wheel slides". At a time when cycling has gone from one body blow to another we wondered whether the Vuelta hype could ever be met. Was this a cynical attempt by Unipublic, organisers of the Vuelta, to grab a few headlines? Was this stage really going to push the mountain stage further than any climb before? Were its 23% ramps really where the Spaniards would get their own back for all the crimes perceived to be committed against them in the recent past? 13.5kms of climbing, 19%, 14%, 23% and 17% with portions in between giving new meaning to the phrase false flats. All of this in the last part of a 176 km stage after already crossing 2 category 1 and a category 2 climb. But you had to wonder would anybody live to fight el Angliru another day? The dispute was not between riders, it was the mountain against man. Some said that no one could get up if it rained. Even before el Angliru was mounted it poured. Down La Corbetoria, down El Cordal the race slid. In a ravine Olano is found with the tiny frame of Lotto's van de Wouwer, lying with his bike, Olano's on top. In the finale Escartin was not there. It was not this Spaniard's day but he was only bruised, not battered. No shattered collar bone. Olano remounted and was dragged back into the race. 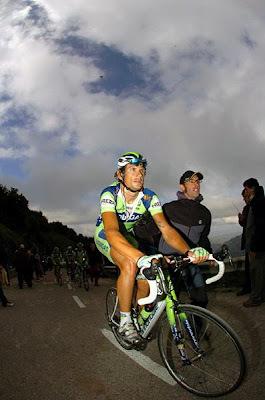 Liquigas' Ivanov is somehow still upright and still up the road. Ahead still lays el Angliru. Where it has been all day, beckoning, taunting: 'I cannot be climbed, not today'. Between Olano and Ivanov a group of five. The climb is underway and with 10 kms to go Ivanov has a minute lead over Mapei's Tonkov, Kelme's Rubiera and Heras and Telekom's Ullrich and Guerini. With Ullrich in the group, Zarrabeita works to bring his ONCE captain, Olano back up to them. But as Zarrabeita can work no more, Tonkov moves away from the other four. Soon he is past Ivanov and in no time has a 59 second lead over those he left. The climb continues and Olano is now back with the Ullrich group. Only 6 kms remaining and Jimenez and Heras start their pursuit of Tonkov. They start to eat into Tonkov's lead and pull away from Olano and Ullrich, who seem content now only to limit their losses, reach the summit and mark each other out of el Angliru's fury. But then Tonkov increases his lead again. With 3 kms to go Jimenez leaves his teammate, Herras behind. With only the last kilometre remaining Tonkov still has 40 seconds on Jimenez. Then somehow Jimenez bridges and Tonkov is caught and passed. Jimenez crosses the line, there is no energy left for a victory salute. But a victory it is for Spain, Banesto, Jimenez and of course Alto de el Angliru. With his victory, Jimenez gave Spain and cycling what it craved "I dedicate it to all of Spain, because I was in debt with all of it and with the team, since until now, thing have not gone the way they should have for the work I was doing in training ... It cost me a lot more than the rest, because I had a big debt with my fans and the people that prepared this climb. Before the start, I felt that I had a lot of responsibility ... I could see Tonkov a little earlier, but, even though I was feeling well, I wouldn't just take off, because I was a little afraid, maybe I didn't choose the right gearing for the rain. But once I passed the toughest section, I decided to go after him." In somewhat of an understatement Tonkov said "It has been an incredible stage" But the gap crossed by Jimenez on the final sections of el Angliru were not without controversy. Tonkov complained : "I'm very angry because Jimenez was helped by the motorcycles which didn't allow me to sprint." Mapei also believed that a commissaire's car had acted as the rabbit for Jimenez to chase across to Tonkov. But the Russian warned that the Pyrenees were still ahead. It seems that el Angliru may well have given cycling the type of shot in the arm it needed. The spectacle, the suffering, the falls and the epic battles on a brute of a mountain. Over 120,000 fans lining the route Ð standing in pouring rain. The joy and tears of victory and loss. As those of us who ride sit back in awe, it all comes home in a most frightening and real manner when we think of the gearing used: chainrings of 30 or 32 teeth and rear sprockets of 25 or more." The next step will be to have the frame painted. I'm taking color suggestions (leave a comment). Keep in mind that the frame was built in the cyclosportif style (with traditional geometry and clearances for slightly wider tires and fenders).